SEFtec NMCI Offshore Training Limited are to attend the Renewable UK Offshore Wind 2011 conference on the 29th of June. We will be joined on the day by over 160 companies, and over 2,500 delegates are expected to attend. Delegates will include senior government officials, investors, financiers, manufacturers, developers and all others with an interest in the latest developments in the offshore wind energy sector. Exhibitors at the conference include turbine manufacturers, developers, contractors, consultants, service companies, electricity utilities, financiers, insurance companies, component manufacturers, research institutes, engineers, and more. 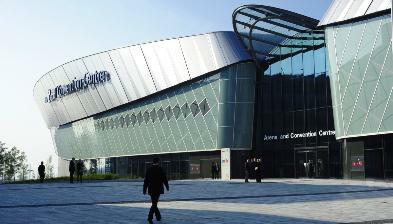 The conference will take place in the Arena and Convention Centre in Liverpool situated in the heart of Liverpool on the historic, world heritage waterfront.